“Something is really amiss here,” the engineer says. It has been around a week since the U.S. admitted it lost contact with an RQ-170 Sentinel Unmanned Aerial Vehicle over the Iran-Afghanistan border — and two days since Tehran showed off pictures and videos purporting to show the secretive Sentinel mostly intact and being inspected by Iranian officers. The stealthy Sentinel, built in small numbers in the early 2000s by Lockheed Martin, was most likely looking for evidence of Iran’s nuclear-weapons program on behalf of the Central Intelligence Agency, analysts said. 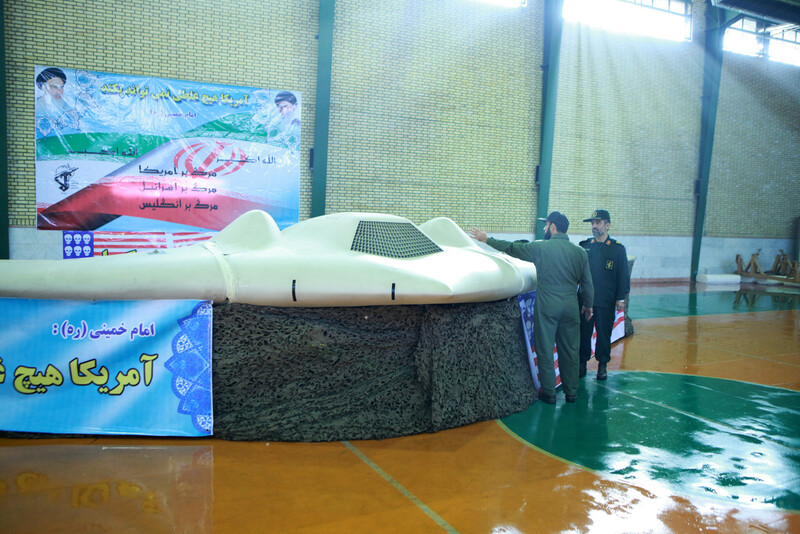 The images seemed to corroborate Tehran’s narrative: that it used electronic jamming to force the RQ-170 down while the bat-shaped craft was spying on Iranian facilities, and now Iranian engineers will disassemble the intact drone to learn its secrets. Given the drone’s apparently excellent condition, “there is the potential for reverse engineering, clearly,” U.S. Air Force Chief Gen. Norton Schwartz confessed. But one American drone engineer is skeptical. The engineer, who spoke on condition of anonymity, worked on the Boeing X-45, a contemporary of the RQ-170. The X-45 came in two versions: the early “A” model and the larger “C” later on. In the early 2000s, Northrop Grumman also came out with a flying-wing-shaped UAV, the X-47. The X-45 and X-47 are strictly experimental. The RQ-170 almost certainly came equipped with similar, if not identical, self-destruct systems. 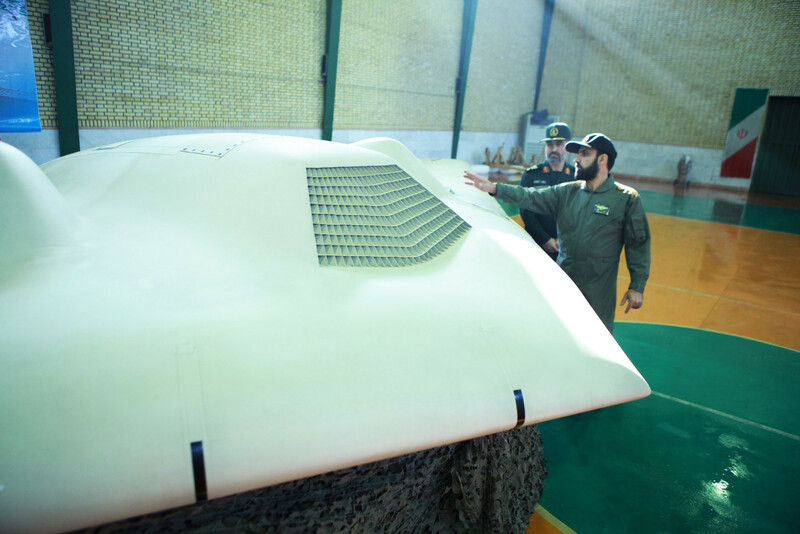 So how is it that the Iranians came into possession of an undamaged Sentinel? It’s possible they didn’t — and that the craft depicted in the photos and videos is a replica designed for propaganda purposes. Iran has a long history of creating fake weaponry to show off during parades. The Pentagon declined to comment directly on the images. This entry was posted in Cyberwarfare, David Axe, English, Technology. Agreed. It seems very unlikely that a production quality US military drone would have such an obvious defect. 4. The USA overlooked that they where using an open protocol that had been monitored for years while the drones operated in Pakistan. I recall the drones where using un-encrypted video links for ages, maybe US spy service did something equally simple minded. Even if that were the case, one would think that they would at least use a fresh encryption algorithm on their CIA Stealth Drones..
That being said, there have been a number of serious network security breaches by a certain nation state in recent times, including one in which the drone command center was infiltrated for a couple of weeks. The wing bolt statement is interesting. In looking at the front perspective photo ( https://cencio4.files.wordpress.com/2011/12/3.jpg ), the wing attachment to the body looks entirely wrong. It almost looks as if it is placed on with tape, and, at least along the wing in the left side of the photo, it appears that there are uneven pieces and a dark hole in the bottom area. The close(er) in photos appear to intentionally avoid showing those areas. I’ve also been curious what the odd wooden saw-horse like forms in the back right corner of the room are for and why there appears to be a rolling gas cylinder in the room. This hints at something I have been trying to point out. Every classified program has an elaborate security plan. The plan includes not just self-destructs but also careful assessments of exactly what information and technology should be put at risk. In other words, we have already weighed the risk-reward of losing a drone and decided to accept it. So why all the angst? We planned for this possibility (or we should have) and were prepared (or should have been). And you know the plans are elaborate and thorough because there are huge bureaucracies of people who have nothing to do but worry about security! I am more interested in why it looks like they are in a school gym. And its an upturned table, in reply to the saw horse comment. I’m not so sure it’s an upturned table. Upon really zooming in, you can see that were the table top would be, there is empty space. A table with no top..? You can see what looks like concrete blocks ‘through the table top’. These concrete blocks could be spaced to create gaps to saw through (making it a sawhorse) but I can really see a table with rounded concrete blocks that can move around being all that useful. I’ve noticed over the past several days the assertion has been made that UAVs have a self destruct system. I work for a company which makes flight and thrust termination systems for a significant number of ballistic missiles, cruise missiles, bombs, and space vehicles. This being said, we have never received a proposal to develop such a destruct system for a UAV and certainly do not manufacture one. Hmm.. That’s an interesting perspective. I suppose it is still possible, though. Perhaps such a system would only really be used on classified devices and the manufacture of said devices would occur without most of the employees in the company knowing about it? The way the drones underside is camouflaged is of interest to me. Why do it at all? Unless it is being held up by a couple of rickety sawhorses which might give away the fact that this is a cheap fabrication. No expert on aerodynamics here but the wing shape also looks a bit off to me. Looking at several Google images of real RQ-170’s it looks like the leading edge of the wing is too “blunt” in the photos vs. images of real RQ-170’s. Its also weird that they have 15 stripes on the “American flag” but only 6 skulls. This flag is an obvious fabrication! I think this article by “The Christian Science Monitor” explains very well how the Iranians probably could capture the drone. Earlier in 2011, Russia delivered the Avtobaza ground-based electronic intelligence and jamming system to Iran (Source: “Russian radar sniffers for ayatollahs“, RT, 26.10.2011). Stephen Trimble thinks the Avtobaza “would be the perfect tool to target and perhaps infiltrate the communications link that allows a UAV to be controlled from a remote location” (Source: Stephen Trimble, “Avtobaza: Iran’s weapon in alleged RQ-170 affair?“, The DEW Line, 05.12.2011). Having considerable experience on drone communications (that’s what I do), I can say for sure that even if Iran managed to jam the com link, they would never be able to take control of it. Keep in mind that this thing is not communicating with the ground, the dish is pointed upward towards the satellite being used. I highly doubt Iran has that capability. Derek, as a drone communications programmer, I have a very hard time believing that you have worked on drone communications at all. The Predator communicates with the ground using radio. The mobile ground station is run from a Hummer. The satellite communication is for backup purposes only. Iran did land the drone, by jamming GPS and satellite (and maybe radio) communication. It then fed false GPS coordinates to the drone. The site where the drone landed was chosen because it had the same altitude as the drone’s home station. That’s necessary because altitude is measured using the onboard barometer. Of course, Iran did not take direct control- this would require reversing 256 bit encryption, a feat impossible for any country. A University of Texas at Austin research team successfully demonstrated for the first time that the GPS signals of an unmanned aerial vehicle (UAV) can be commandeered by an outside source: Melissa Mixon, “Todd Humphreys’ Research Team Demonstrates First Successful GPS Spoofing of UAV“, The University of Texas at Austin, Department of Aerospace Engineering and Engineering Mechanics, June 2012.